Formerly BlueFire Street Fest, Dublinternational is a World Cultures multidisciplinary arts festival. An Aladdin’s Cave of Cultural Delights, we celebrate & showcase the diverse arts being produced in our multicultural city. It’s a completely free event that provides the audience with an opportunity to ‘Travel the World in 80 Steps’. Our festival is centered around audience interaction and participation, and is designed to provide cultural activities of interest for all ages. From our Children’s Area, our interactive workshops, intergenerational activities and youth speakers corner, all running throughout the Festival, there will be a continuous opportunity for audience engagement, participation, education and fun. How much? 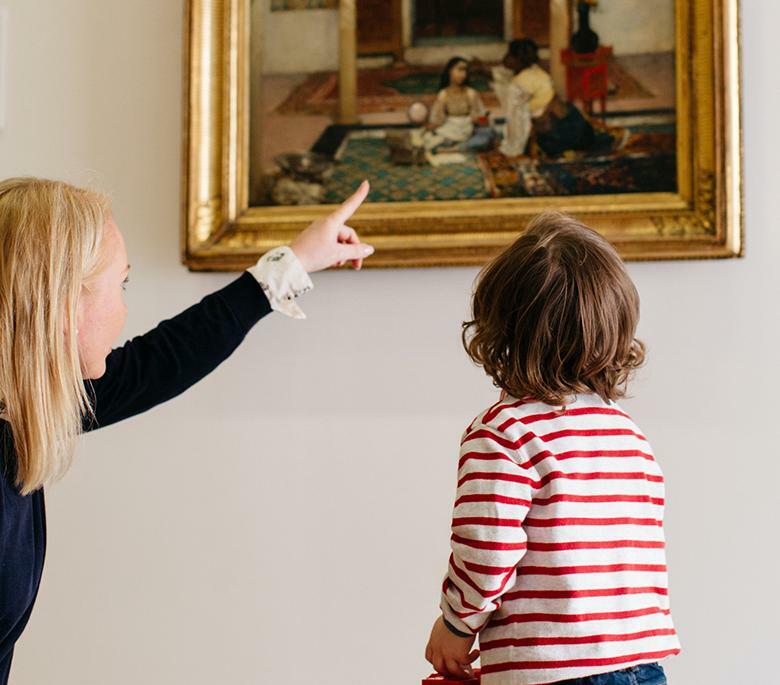 Adults €15 – Up to 3 Accompanying Toddlers & Kids go FREE! To tie in with our exhibition Curious Creatures – Frans Post & Brazil, we will be screening the film Zootropolis. Zootropolis is a city like no other. 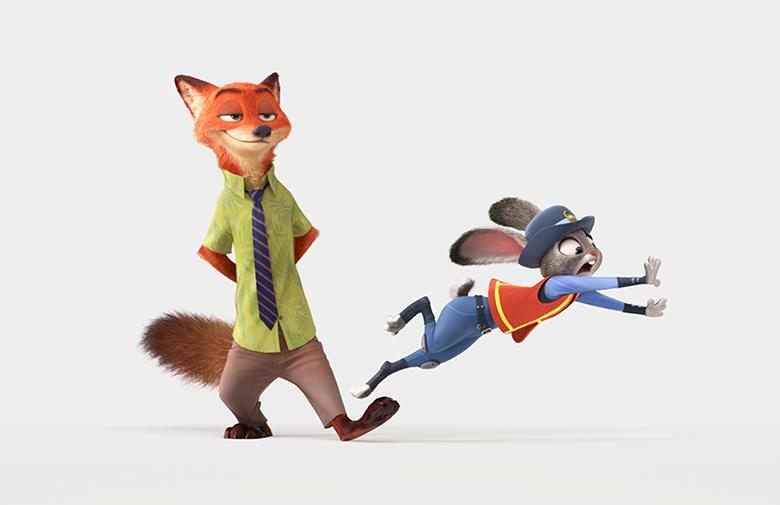 But when optimistic Judy Hopps arrives, she discovers that being a bunny on a police force of big, tough animals isn’t so easy. Determined to prove herself, she jumps at the opportunity to crack a case, even if it means partnering with a fast-talking fox, Nick Wilde. Join Beth O’Halloran for this workshop inspired by Roderic O’Conor’s paintings of Breton women. At our weekly drop-in workshop, children and their parents/guardians/carers are encouraged to work together on creative projects. Drop-in and stay for as long (or as little!) as you wish. These workshops are suitable for children of all ages, and take place in the Maples and Calder Creative Space in our Atrium. 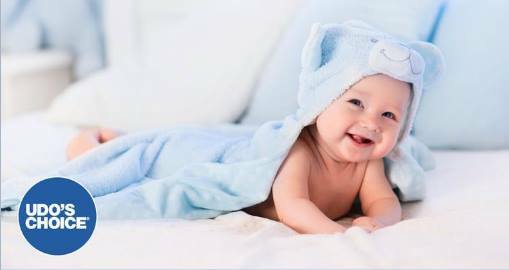 Infant Digestion – Information Morning for Mums and Babies. This is an interactive seminar for mums and their babies or toddlers, hosted by nationally recognised Pharmacist Laura Dowling (The Fabulous Pharmacist) and Udo’s Choice Nutritionist Sarah Brereton. Laura and Sarah will both talk about health and wellness for parents and babies, and there will be an opportunity to ask any questions you have and speak with them one-to-one after the talks. When Tuesday 18th September, arrival is from 10am for a 10.30am start. The event will finish at 12pm. Pop the events below into your calender for future family fun. Culture is catching with venues and public spaces across the island of Ireland as they open their doors to host a programme of free late-night entertainment, as part of an all-island celebration of arts, heritage and culture. Now in its thirteenth year, Culture Night returns on Fri Sep 21st 2018. When Fri Sep 21st 2018. 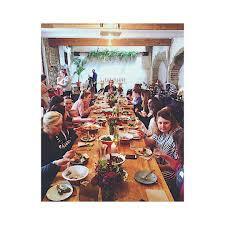 Ages suitable for due to the nature of it being held on an evening, a lot of events are targeted at adults. However there is a family programme. Join Humpty Dumpty for nursery rhymes and stories from auld Dublin. You’ll hear all about what life was like for children over approximately 1,100 years of Dublin’s History. Viking kids and modern kids welcome. Children must be accompanied by an adult. One of Dublin’s most exciting cinemas welcomes guests and all the family to a very special sing-along screening of the year’s biggest, most spectacular musical, ‘The Greatest Showman’, showing at 4.30pm and 6.30pm. With lyrics provided on screen, all you have to worry about is the singing – and dancing! Free but ticketed. How much? Free, donations most welcome. Book your tickets here. These magical tales will delight children age 3+ and are a colourful introduction to the cinema experience. These short films from a whole host of countries, including Sweden, France, Russia, Germany, Switzerland…For audiences aged three and older, we’re delighted to present a variety of short tales about going on adventures, making friends, trying out new things and learning new skills. 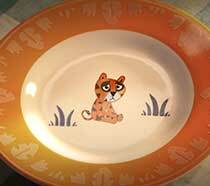 We watch a hungry tiger find a tasty meal (and eat his carrots) and learn how a big, old bear finds his singing voice. A little boy has to save an adventurous fish during a water shortage, and someone desperate to go to sleep learns that there is music all around (whether he likes it or not! ).All these short films are in English or are dialogue-free (except for one with one word of German – and it’s very easy to understand!). These magical tales will delight children age 3+ and are a colourful introduction to the cinema experience as well as moving image literacy. Tape, bind and build to create your own funky sculpture and then work collaboratively with others to place your funky building alongside others to create a new and imagined city scape. Who lives there? What lives there? Let’s find out! Dress for Mess. Please be aware that Draíocht’s Family Days are not designed for groups. All children must be accompanied by an adult and all adults must be accompanied by a child! Hear the lions roar and the elephants stomp as the WhistleBlast Quartet journeys through the jungle in this all-ages concert! 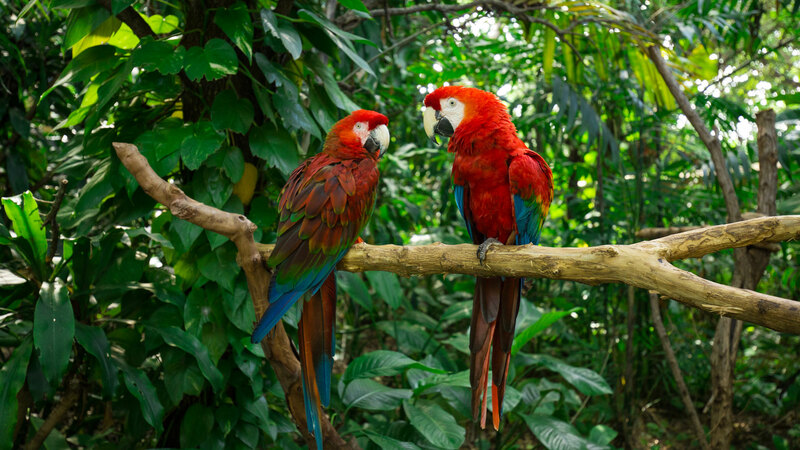 Featuring a variety of familiar songs with a classical bent, this concert allows young and old to explore works by famous composers such as Saint-Saëns, George Gershwin and Henry Mancini with a fresh ear, and includes fun narration and storytelling from the animal kingdom. 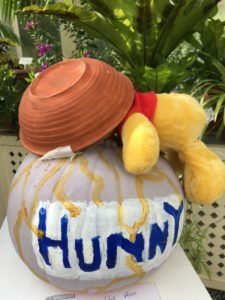 Kids, take part in our decorated pumpkin competition and your pumpkin can be part of the fantastic exhibition that will run until just after Halloween. This event is a big hit with our visitors every year. Please use the entry form below or call at the Visitor Centre desk for entry forms and details on how to take part in this spooktacular event. Please remember that we cannot accept carved, cut or pierced pumpkins. When Entries will only be accepted on Saturday 20th October between 10am and 4pm. Prize giving for the Decorated Pumpkin Competition will take place on Sunday 21 October at 3pm in the Teak House. Ages suitable for children of all ages! Join us for a bumper series of events and activities to celebrate the coming of Halloween! 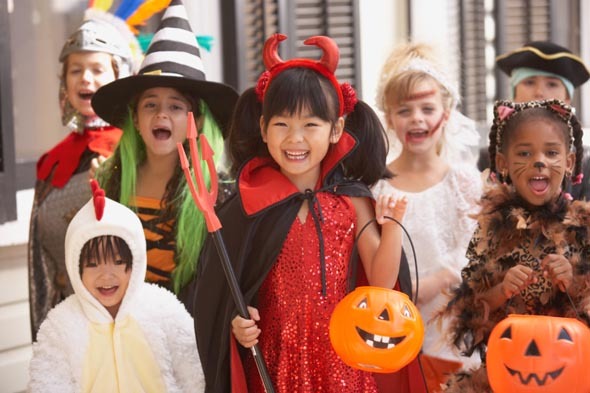 It’s dress-up day when all you witches and ghouls can dress to distress. 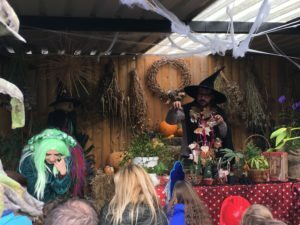 View the Halloween Harvest Display and Decorated Pumpkin Exhibition and discover all about Magical Plants when you visit the witches in their garden. Try your hand at some of the maths puzzles and games that will be run by Maths Week Ireland as part of their Celebration of Mind. 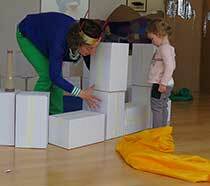 There will be puzzles, maze and maths tricks, magicians, mathematicians and puzzlers. From 12pm there will be Magical Plants presentations every 20 minutes in the Witches Garden (Erasmus Education Garden). Join the coven to find our more about using garlic to ward off vampires, plants for potions and spells, poisonous plants, and even some rarely seen invisible plants! Join us and find out how spooky plants can really get. Do you love the rhythm of trad, or the smooth sounds of jazz? 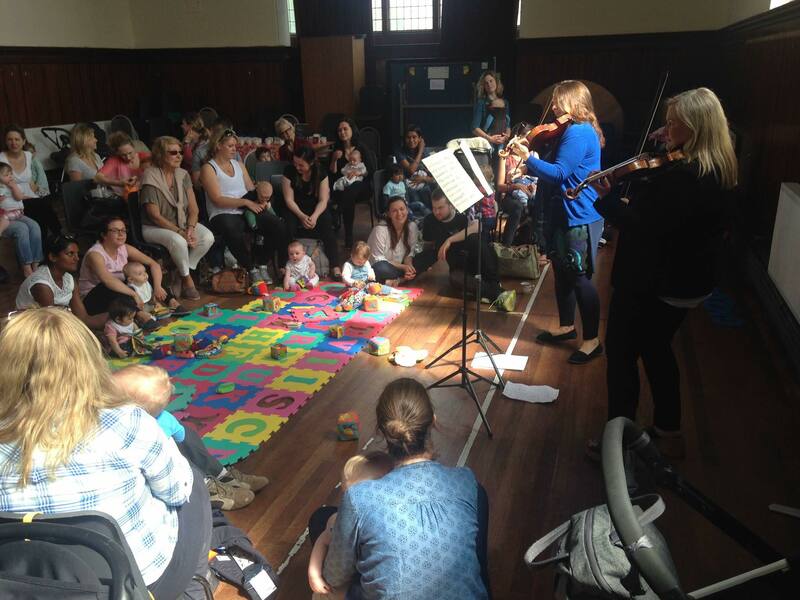 Or perhaps you’d like to introduce your toddler to music, or learn a new instrument with your child. 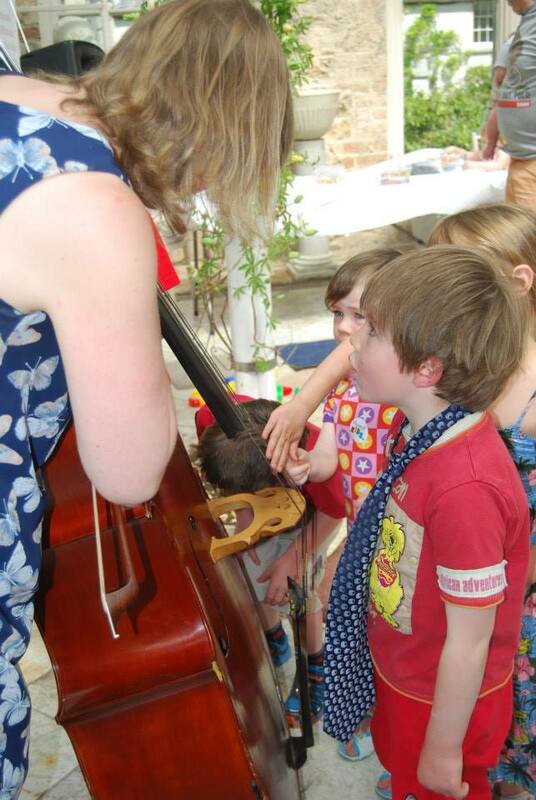 Our family workshops offer a chance to learn about music together in a fun and interactive environment. 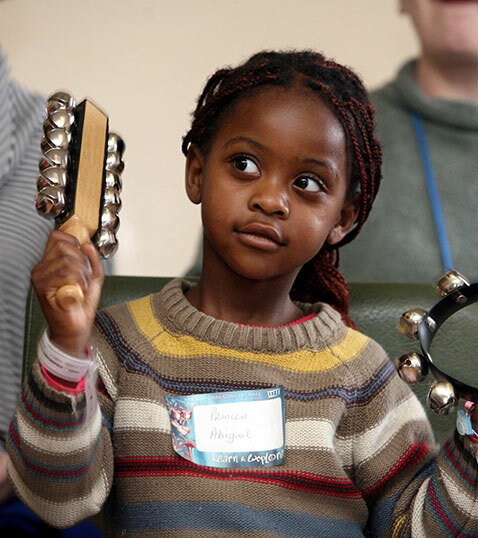 Have fun with your little one in these engaging workshops and learn a range of tunes and techniques to continue their musical journey at home. This session uses folk songs and lullabies from around the world, together with easy and accessible musical activities for you to share together. Experience the magical sound of the Javanese Gamelan. This unique set of tuned percussion instruments was gifted to the National Concert Hall by the Sultan of Yogyakarta, and is a great way of getting to play music in an ensemble, even with little or no previous experience. Discover the world of rhythm with a group percussion workshop. Our skilled facilitators will take your group through a rhythmic journey exploring the drumming traditions of West Africa, Brazil, and the Caribbean. No previous experience is required. All instruments are supplied. This hands-on family music workshop introduces the tunes and techniques of the tin whistle for newcomers to the instrument. Participants are welcome to bring their own D whistle, or purchase them on the day or through our box office for €5. Explore rhythm in this interactive workshop with the traditional Irish drum, and learn how to accompany jigs and reels. When Various dates throughout the year – October and December dates are showing online to book now. Every winter in Whistleberry Forest, a little robin comes to visit and grants the creatures of the forest their very own wish – they can wish for whatever they want! 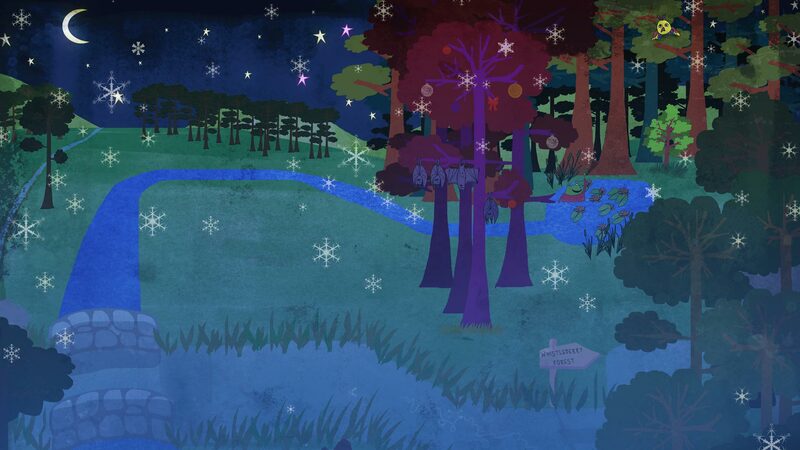 As Ornaith the owl, Sorley the snail, and Faoiláin the frog sing the magic words, the forest is transformed before their eyes into an enchanting wintry wonderland. Come and join the Armagh Rhymers at our Tradition Now Family Day, an interactive and immersive journey through the world of traditional Irish music and storytelling. The Armagh Rhymers are one of the most celebrated traditional music and theatre ensembles on the island of Ireland. Founded in the 1970’s, they use music, storytelling and drama to provide an experience that is both entertaining and educational. Colourful costumes evoke a sense of tradition and history and encapsulate the spirit of the Wren boys and the ancient house visiting traditions of Ireland, where the kitchen floor became the stage. 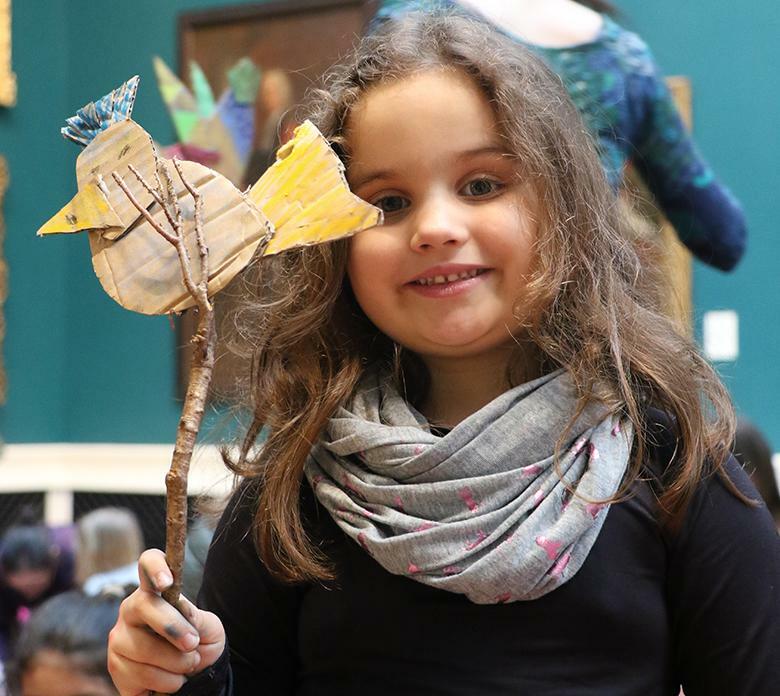 With family activities starting from 12pm, you can meet the musicians who will be playing later; jump into one of our music and drama workshops, designed to get you involved straight away! ; have your face painted and then follow the Treasure Hunt for hidden prizes; try out some of the instruments and play musical games. Packed lunches will be available from the Terrace Café. 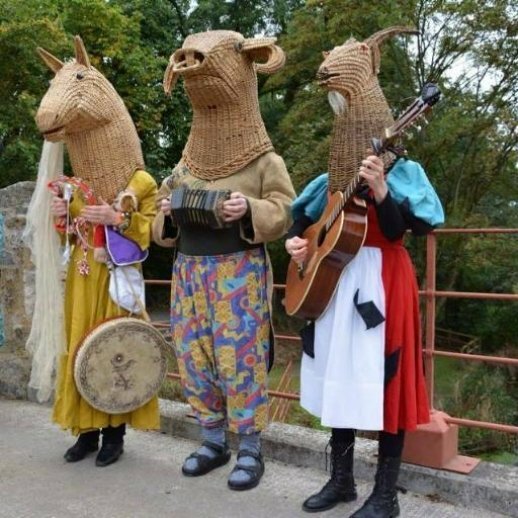 Then at 1:30pm, join the Armagh Rhymers in The Studio for an interactive performance, where you will be taken on a journey through the rich and diverse sounds and traditions of Ireland. A great day for all the family! The National Concert Hall is haunted by eerie music and crazy costumes this Halloween. Join us for this spook-tacular interactive Halloween family concert featuring the ghoulish ECO Band. Don’t forget to dress in your best Halloween costume! 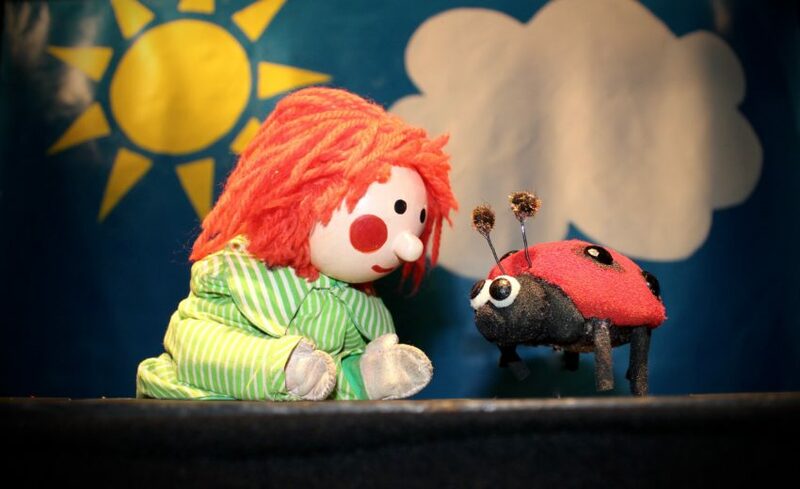 Bosco’s Garden And Cinderella – Bosco’s 40th Anniversary Tour!